PPI and Carfax included in this ad (both from when I purchased last summer). Please note: I post more on Rennlist than here. 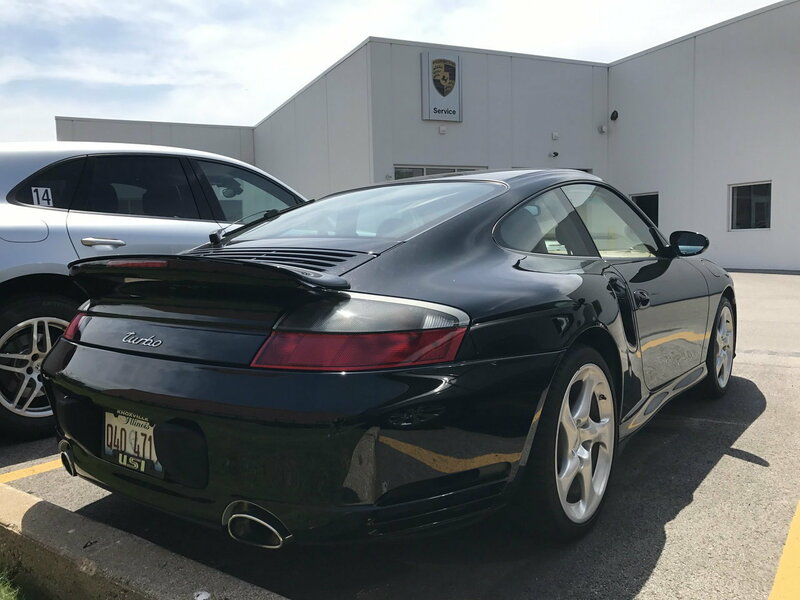 Extremely clean 2003 911 Turbo 6 speed finished in Black exterior with Tan (Savanna Beige) interior (rare color combo). Bone stock. Just hit 39,900 miles (rising slowly, as I still drive on nice days). People routinely think this car is brand new if they haven’t seen me with it before. It’s THAT clean. Asking $49,850. Passed full independent PPI at Harper’s Porsche in Knoxville, TN last summer when I purchased the car from USI motors in Knoxville (PPI picture uploaded). Also has great service history (all major services performed at Porsche dealerships). I have put 6,000 miles on in my ownership. Your chance to get a no-stories car (you get what you pay for). Still have original window sticker, 2 keys, all manuals and papers, etc. IMPERFECTIONS: The rearview mirror has a gel bubble in it (the auto-dimming gel material). Was a common issue with these cars (that's what the Porsche Tech said during PPI). I bought the car with it and it didn't bother me enough to send to Michigan for $99 for repair (there is a thread on the Rennlist forum somewhere about that)... but that's the only real issue with this vehicle. It's supposedly magnetic-gel or something that makes the auto-dim function work. So the dimming currently works in the outer part of the mirror, but not inside the actual bubble area itself. Picture attached. Other than that, nothing out of the ordinary from being on the roads the past 14 years. Pictures show everything. Selling because I am looking to get a Gallardo Superleggera middle of this summer. Oil changed at Barrington Motor Werks Porsche (Chicago) before winter storage (@38,000 miles). Detailed every three months (I own car washes). Tires have 85% life in the front 75% life in the rear (tires are Hankook Ventus 2). Would like for it to go to someone who will take great care of it. Last edited by FastAlex; 06-03-2017 at 05:26 PM. Beautiful. I hope whoever gets it keeps it stock just like it is. Sorry I never came back to this thread and updated.